The DOL's long-anticipated, controversial redraft of its rule to redefine fiduciary for retirement plans is now out for public comment. The Department of Labor issued for public comment Tuesday the long-anticipated controversial redraft of its rule to amend the definition of fiduciary under the Employee Retirement Income Security Act. The new best interest contract “creates a guardrail” requiring those giving advice to “put your clients’ best interest first. For many broker-dealers, they don’t have that guardrail” in place now, Perez said. Perez noted that DOL would schedule a public hearing “shortly after” the 75-day comment period, and that the public record will be reopened for comment after that hearing. Only after reviewing all the comments will the administration decide what to include in a final rule, DOL said, and even once the DOL ultimately issues a final rule, it will not go into effect immediately. 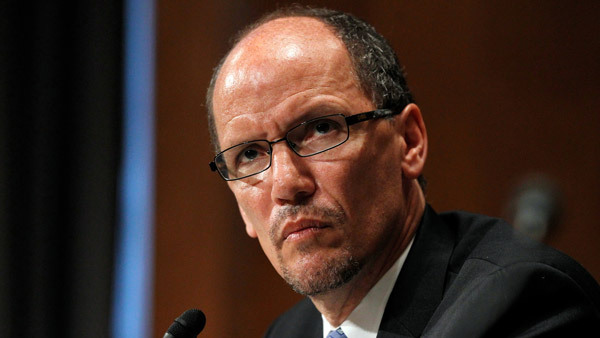 Unlike DOL’s 2010 fiduciary proposal, the current plan includes “a robust economic analysis,” Perez added. Along with a new best interest contract exemption, the proposal also includes other new exemptions and updates some exemptions previously available for investment advice to plan sponsors and participants. For example, the proposal includes a new exemption for principal transactions, and asks for comment on a new “low-fee exemption” that would allow firms to accept conflicted payments when recommending the lowest-fee products in a given product class, with even fewer requirements than the best interest contract exemption. The proposal carves out general investment education from fiduciary status. AARP, which will comment on the plan, “hopes DOL moves quickly to finalize a rule to protect retirement investors,” she said. FSI, Brown continued, is “disappointed” that the Office of Management and Budget “only took 50 days to review this highly controversial rule that could negatively impact millions of investors.” (Emphasis his.) On average, he said, DOL rules are reviewed by OMB for 117 days. – Read the DOL Fact Sheet on the fiduciary proposal. — Check out SEC Chief: Fiduciary, Third-Party Audit Rules to Advance This Year on ThinkAdvisor.